Smoothies are all the rage right now. I’ll tell you why. Eating vegetables and fruits is a process not well tolerated by many because vegetables aren’t as tasty as fried carbs and protein. Preparing salads and prepping vegetables also takes a lot of time and countless dirty dishes. It saves more time and makes more sense to blend the vegetables and fruit into one drink and gulp it down in a few sips. This makes it easy to meet your daily nutritional requirements without fuss. You can prepare and freeze your fruit and veggies a week prior. 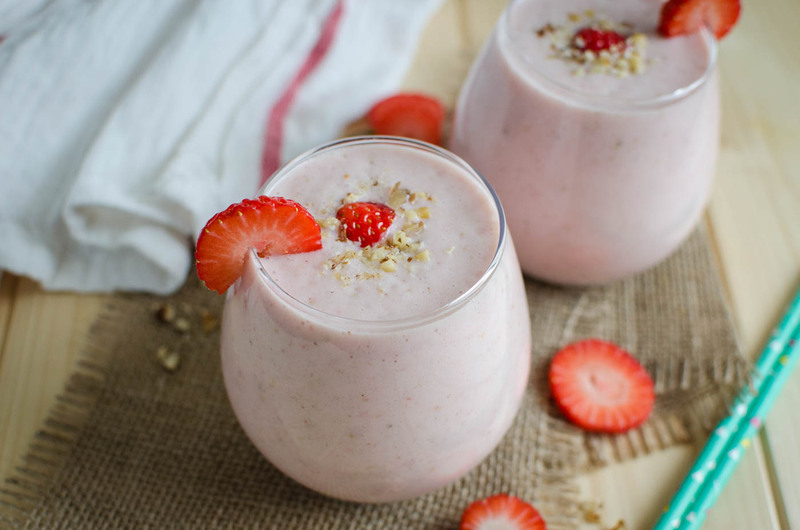 Fruit and yogurt smoothies are one of the healthiest blended drinks. They use yogurt instead of ice cream, water or milk for the base which packs you with protein, calcium, and vitamins. The fruit has lots of vitamin C, potassium and minerals which fight disease and keep your thyroid glands healthy. Fruit and yogurt smoothies will help you reach the recommended intake of fiber which is 25g for women and 38g for men and is perfect for people with lactose intolerance. Taking a healthy fruit and yogurt smoothie for breakfast will wake up your taste buds and kick-start your day. You can also use it as a meal replacement because it helps you stay fuller for longer. A smoothie is a thick beverage made from blending vegetables and fruit together. Early Mediterranean and Eastern cultures used to serve pureed drinks for years. However, smoothie popularity began in the 1930’s when refrigeration became commonplace in America and the first electric blender was invented. A story is told of Julius Freed, an American who had a sensitive stomach and just could not handle the acidity of freshly squeezed orange juice. So he blended the oranges with egg whites and a few other ingredients to make his drinks less acidic. 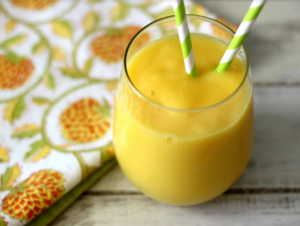 People got curious and asked for a taste of his smoothies and his business – Orange Julius was born. Shortly after, hippies who were more health conscious embraced the smoothie culture in the 60s and the phenomenon spread to the rest of the world. Today, every fitness group swears by the detoxifying power of vegetable smoothies and weight loss support groups evangelize the power of this blended drink. Juices aren’t as popular, unfortunately, even though they use pretty much the same ingredients. This is because they are usually stripped off of pulp, seeds, and skin which are very nutritious. Smoothies, on the other hand, allow you to add a fat base like yogurt or milk which helps your body to assimilate the vitamins you consume. The base: Always put the yogurt base in the blender first so that you do not destroy the blades. Choose yogurt that has high probiotic content. Tuti probiotic yogurt has aloe vera as one of its ingredients which contain 200 nutritional compounds, 20 minerals, 22 amino acids, 12 vitamins and at least 8 enzymes. The fruit: Always go for the freshly cut fruit to enjoy the nutrients that your smoothie has to offer. Freeze your fruit chunks until they are ready to use if you want extra thick smoothies. The sweetness: The sweetness of your smoothie depends on the fruit that you use. If you want to make it sweeter, use natural sweeteners like honey or dates. Artificial sweeteners will only make you consume more calories and spike up your glycogen. 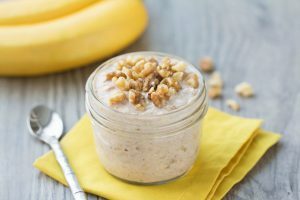 You can use one of these recipes to create your first, nutrient-rich, tasty smoothie. All the ingredients are easily available in local supermarkets. 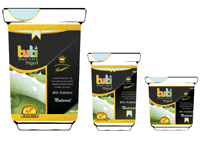 If you would like to enjoy the nutrient benefits of Tuti probiotic yogurt in your smoothie, make an order. This delicious offering will make your mouth burst with tropical flavours. Feel free to add shavings of coconut to the blender. If you want more fibre, protein, and thickness to your smoothies, you can add oatmeal and cinnamon. Cinnamon is a powerful spice that is known for its sweet taste and immense health benefits. 1 tablespoon of cinnamon contains Vitamin k, manganese, calcium, iron, and fibre all which are crucial in cutting down the risk of getting heart attacks, diabetes and cancer. Oatmeal lowers blood cholesterol due to its beta-glucan content. It also stabilizes blood glucose which makes it popular among athletes and fitness buffs.